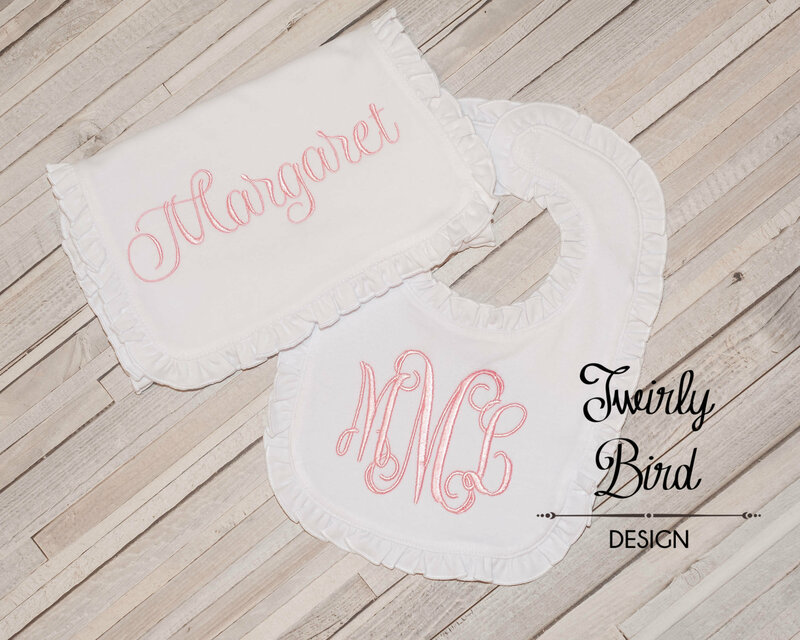 Beyond sweet, this charming bib and burp cloth set are ruffled and perfect for your little one. 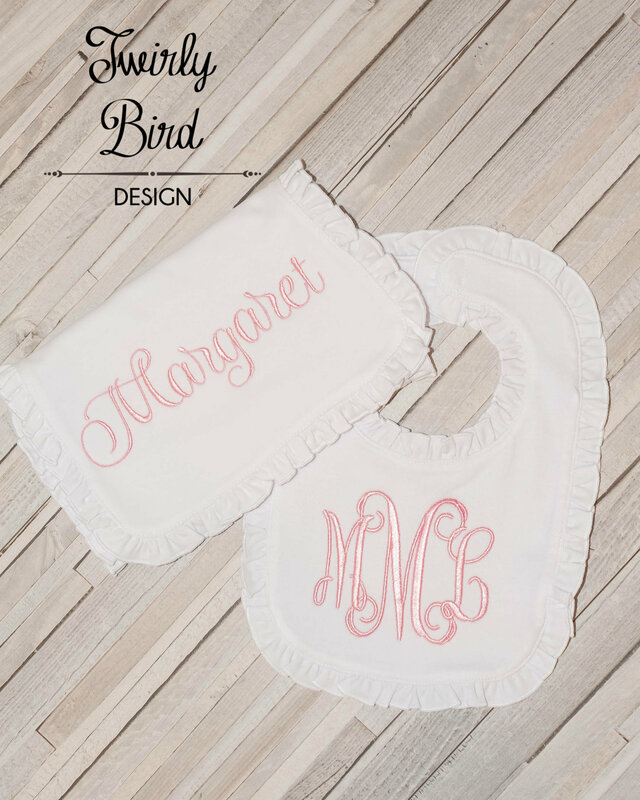 A thoughtful baby shower gift and keepsake, the set can be embroidered in one of many colors. 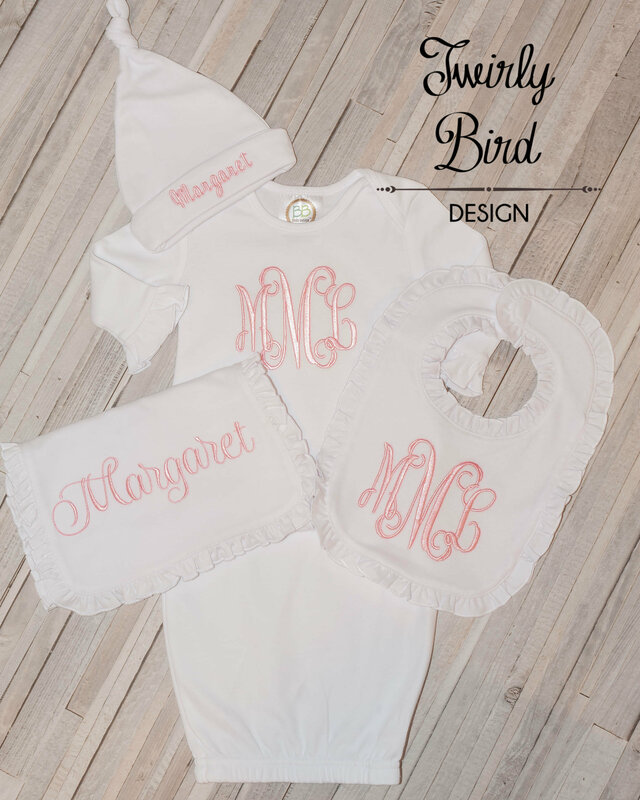 Choose to spell out the baby’s name, initials, or full monogram. The set is soft and composed of 100 % Cotton front and a Terry Cloth layer on the back for absorbancy. It’s washable and it is perfect to even use to mask drool and protect dresses when your baby is teething.